If that blurb had appeared on a book by almost anyone else, I would have regarded it with deep scepticism. It is unlikely that there is any person who knows more about South African cinema than Martin Botha, so instead I was filled with delighted anticipation that was, sadly, not entirely fulfilled. While the book does offer a comprehensive overview of historical developments and key cinematic moments in South African film history, in the end it is too ambitious a project for a book of this size. As a reference guide or a source for suggestions on further reading, this book is well worth the price, but over 100 years of cinema history and artistic practice cannot be explored with enough nuance or depth in such a short space. This should be considered a serious error in judgement on the part of the publishers, who imposed the word limit. A book twice this length would struggle to do justice to the project Botha has set for himself. The South African film industry is one of the oldest in the world, with early filmmakers like Edgar Hyman making and exhibiting actuality films almost immediately after the first public film screening in South Africa in May 1896. The start of the Anglo-Boer War three years later galvanised an interest in the documentary and propagandist potential of film-making that could be said to characterise much of the subsequent film production that Botha documents. However, unlike the significant works by other South African film scholars such as Keyan Tomaselli, Jacqueline Maingard, and Botha himself, this book is intentionally focussed on the somewhat neglected area of South African film aesthetics rather than ideological concerns. Botha does provide relevant historical information about the socio-political background against which films have emerged, but attempts to keep his attention on questions of style, form and genre. This inevitably subjective approach means that those films and filmmakers which Botha considers to have artistic merit receive detailed consideration, while others are effectively reduced to dictionary entries. For example, Thelma Gutsche’s pioneering 1972 study, The History and Social Significance of Motion Pictures in South Africa: 1895-1940, is over 400 pages long, but Botha condenses a similar historical period into a mere 14 pages in contrast to the 30 pages devoted to the work of Manie Van Rensburg. The project began as an historical dictionary and its transformation into an integrated chronological narrative is more successful in some parts than others. Indeed, the book may function more effectively if used as a dictionary, since it provides brief factual information on an impressive range of films, people, and industrial changes, often accompanied by useful references to relevant sources for further reading (most of these references are, unsurprisingly, to Botha’s own previous work). The South African film industry has been dominated by white Afrikaans men (and arguably still is), and Botha’s book reflects and acknowledges this, observing that “Afrikaners wanted their ideals visualised in these films. This idealistic conservatism was characterised by an attachment to the past, to ideals of linguistic and racial purity and to religious and moral norms” (240). Despite his stated intention to avoid ideological issues, Botha provides some very interesting discussion of identity and the class, race, gender, and sexual norms that have been imposed on, and reinforced through, film content and practice. The accounts of the relatively recent rise of queer filmmaking and emergence of black and female directors are among the book’s most valuable contributions. Nonetheless, the motivation behind the structure and chosen areas of focus is not always clear. Jan Rautenbach and Manie Van Rensburg (on each of whom Botha has previously published studies) have entire chapters dedicated to them, as does Ross Devenish (although his is only 6 pages long). Other significant directors such as Katinka Heyns, Oliver Schmitz and Darrell Roodt are subsumed into broader chapters. The so-called ‘Bantu films’ made for black audiences under the apartheid government B Scheme film subsidy during the 1970s are briefly addressed in Chapter 7, which documents their problematic politics and general lack of artistic merit. There is some discussion of the anti-apartheid work by British and American filmmakers in the 1950s and 60s, but later significant subversive films such as Last Grave at Dimbaza (Nana Mahamo, 1973) receive less attention than one might expect. Two chapters cover the major shifts of the 1980s, exploring the industrial fragmentation and increasingly rebellious content that emerged during this period of upheaval. Following the auteur studies and historical filmographies of the first nine chapters, the last three chapters provide an informative and insightful study of post-apartheid developments in the industry, and in the style and thematic content of the films of the last twenty years. This includes a chapter that documents the attempts to create a national film commission in the wake of the 1994 elections and from the 1994 study on the national film industry commissioned by the Human Sciences Research Council. This chapter is so filled with facts and figures that Botha resorts to bullet points to get through them all. The rather dry recitation of these facts sits oddly next to the aesthetic concerns of previous chapters, but is a valuable historical record of the attempt to transform and redress the past imbalances of the film industry, and of Martin Botha’s central role and significant contribution to the process. The last two chapters on the diversification, experimentation, and new voices of post-apartheid cinema are perhaps the most interesting in the book, including sub-sections on key directors such as Rehad Desai and the Foster brothers. Of particular note are the sections on the under-recognised but significant body of short films, and on the emergence of what Botha calls “a cinema of marginality” in post-apartheid South Africa. He identifies the recurring presence of the figure on the margin (in terms of race, class, gender, and sexuality) as the dominant characteristic of recent films, stemming from these films’ attempts to challenge stereotypes and deal with South Africa’s traumatic past and the challenges of adjusting to a new socio-political reality. This book shows an appreciation for the role of film as voice, as art, as memory, and as a site of discursive identity, with a key role to play in developing new democratic character. The 250 pages of text are accompanied by an extensive 40-page filmography, with sections on key features, documentaries, and short films. The book also includes over 200 stills and photographs, illustrating the artistic styles of a wide range of films. However, these images stand alongside the text and are never referred to, analysed, or discussed within the body of the text. Botha deliberately refuses to use an academic writing style in order to increase the accessibility of his book to those outside academia, but the simplified style is often somewhat stilted and unfortunately the manuscript has been very poorly copy-edited. As a result there are a multitude of somewhat distracting typos and grammatical errors that may bother some readers (like me). Oddly for a book that struggles so much with length constraints, there is also a noticeable amount of repetition, often word-for-word, reinforcing the sense that this book should be used as a dictionary rather than read as a whole. Overall the book is an eclectic, and sometimes uneasy, mix of historical overview, textual analysis and auteur study. For those happy to gallop through 60 years of history and then drop suddenly into a detailed and passionate discussion of two key white Afrikaans directors before moving into the facts and figures of a national film industry, this will not matter. Botha’s intentions are supposedly to privilege aesthetic concerns over ideological ones, but the book remains structurally confusing, and ultimately, I am not persuaded by his approach. 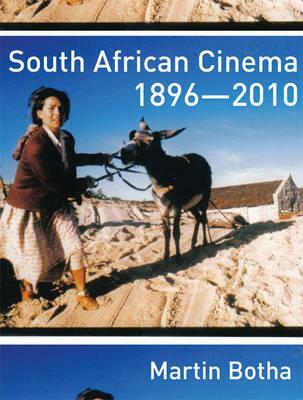 Nonetheless, it is a key contribution to the documented history of the South African film industry, as an introductory text for those new to the area and as a reference guide for those wanting to explore it further.